Help Fund My Sophomore Record! There are many different kinds of love - love for a friend, a significant other, your parents, your children, and love for humanity. I hope to touch on a few of these with the songs I’ve included on my album. To give you a little bit of a backstory about myself, I'm a local Portland singer-songwriter. Originally, I started writing while studying abroad in Canada and much of my writing roots come from BC's songwriters. In 2016, I released my first record 'Hypnotize' and since then I've been collaborating as a writer and singer with many local bands such as Jacob Westfall, Ronnie Carrier and the Day Terrors, and Rob Larkin and the Wayward Ones. I've also been a part of the Acoustic Guitar Project's 2017 Portland Showcase and I'm currently the administrative assistant to the non-profit organization #WomenCrush Music's Portland Chapter. There's a lot I've learned and a lot to learn still. I believe in the songs I wrote, and I want to have the best musicians, which costs a bit more than I have on hand. I need a little help to bring my project to fruition, and hope you can help me be able to afford some of Portland's best musicians such as Phil Baker(Pink Martini and Diana Ross), Pansy Chang (Pink Martini and Ari Shapiro), and Brent Follis(Pink Martini and Ari Shapiro) as well as amazing local artists such as Amy Håkansson and Alex Milsted. We've already funded my single 'You Are my Love' which will be released on Valentines Day (and I can't wait for you to hear it!) But the rest of the record still needs help. 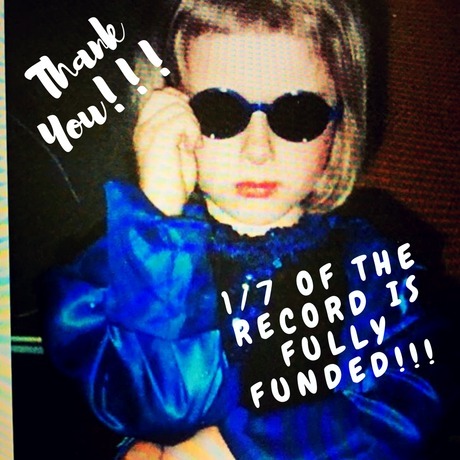 The record is now 1/7 the way fully funded!!! Thank you all so much!!! Thank you so much everyone!!! 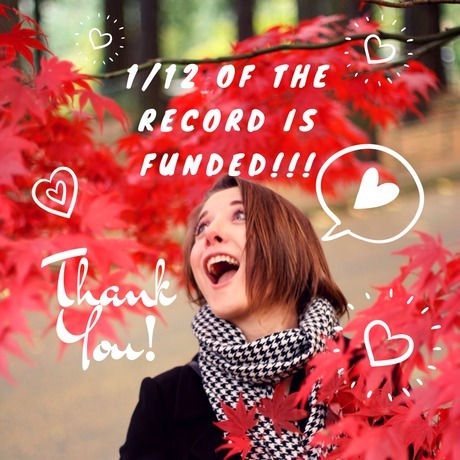 We've funded 1/12 - 1/10 of the record so far!!! I'll be releasing a video this week about the perks you will be getting from donating!!! Chris White1 year ago Best wishes. Blair Moro1 year ago Miss you Hails! Keep up the good music. Teresa McCurdy1 year ago So proud of you! Dale A. Dauenhauer1 year ago Best wishes. McMurray1 year ago The world is a better place with your music in it, and I want more! !